Burlap originates from India and was traditionally used as backing for carpet and linoleum. Today, the burlap is used in many crafts for decoration. It is perfect for adding rustic touch to an item or even the whole room and many people go for it because it’s cheap and fun to create with. In this article we are showing you ten decorations that you can easily make on your own. Some of them might be perfect as gift! Scroll along and let us know which is your favorite. Instead of placing photos in frames, you can be more creative and make your own memo board. This is really easy to create and you’ll enjoy the result so much! You need 8 x 8 in. 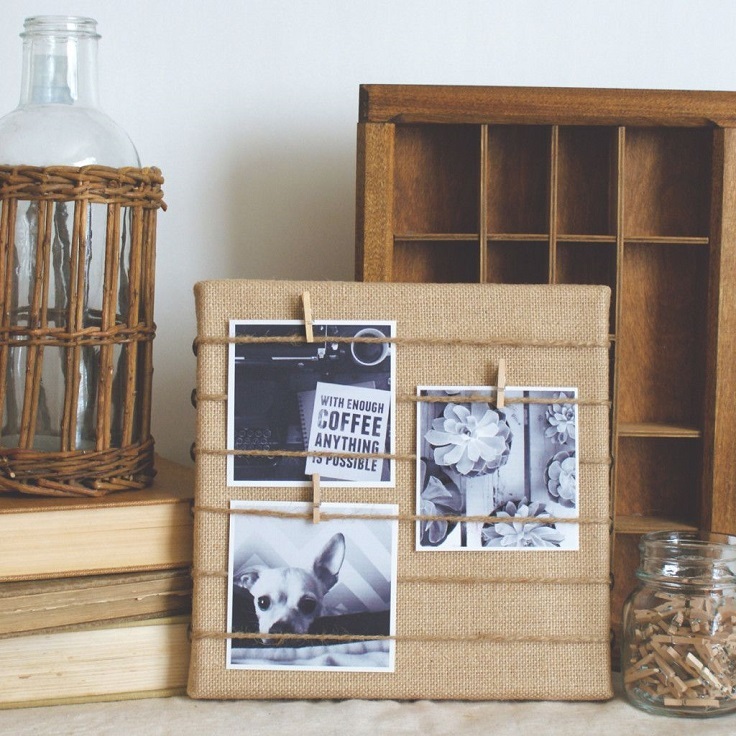 burlap canvas, nailheads or decorative tacks, twine, mini clothespins, hammer and few of your favorite photos – make sure they’re small sized. This memo board noto nly can be the perfect little detail in your home, but it can be a great way to share memories with a close one. If you think that you need to have advanced art skills to come up with something that can be hanged on your wall, you’re wrong. Here’s an idea that can inspire you to make your own art – with few materials and by following the instructions, you can make something that will make you in return proud of yourself! 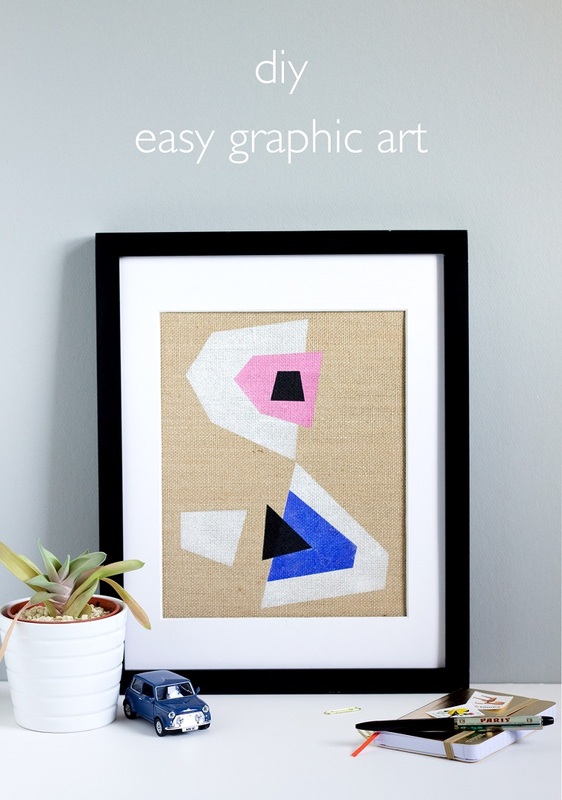 For this project, you need freezer paper, paints, paper plate or piece of cardboard, stenciling brush, burlap canvases, craft knife, cutting mat, iron, ruler and pencil. 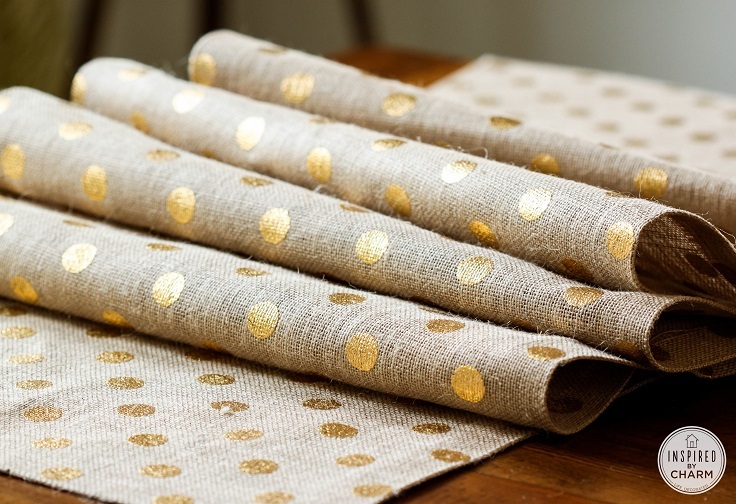 Do you hate sewing, but really want to make your own table runner? There’s a solution to that and here’s what you need for it: burlap fabric, fusible webbing, scissors, measuring tape, seam ripper (or pointed tool), cotton dish towel and iron. Before you start creating, it’s important to decide how much fabric you need – in this tutorial, the table runner is lengthwise. Having coasters will save you from constantly cleaning glass stains. 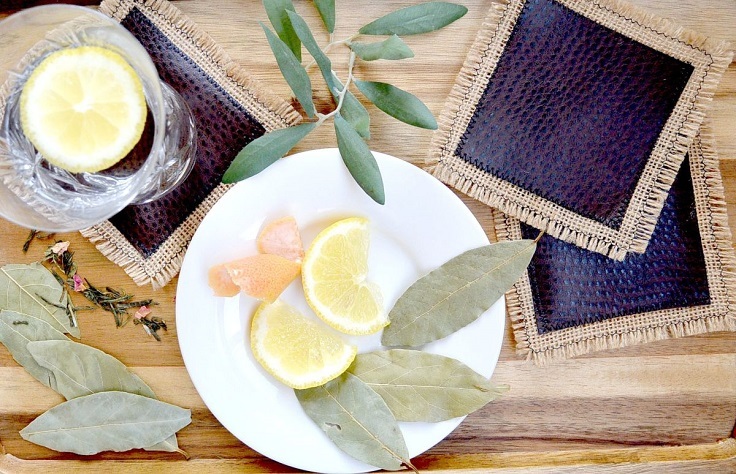 There are so many DIY coaster ideas that you can find online, so we picked the one with leaner and burlap for you. It’s an easy project and you need the following materials: faux leather, burlap, measuring stick, scissors, sewing machine, pins (these are optional) and pencil. You will also need to use warm iron on the back of the coasters because they tend to curve up on the ends. Even candles can have their own decorations! 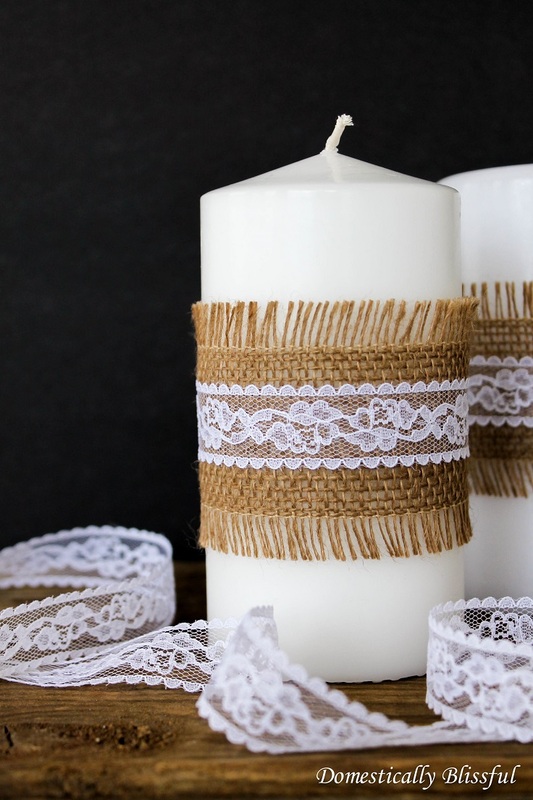 If you can not afford those candles with wonderful scents and pretty colors, at least you can try to create wrap for cheap ones with burlap and lace and make them way more prettier! Besides candles, lace and burlap, you will also need hot glue gun and scissors. You can also use buttons, twine and burlap flowers for decoration, but this is optional. Who said that flower pots have to look boring? 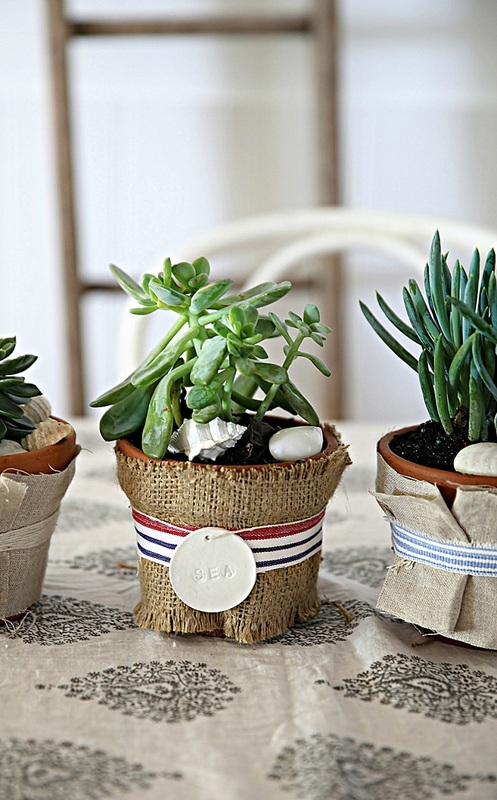 There are so many ways that you decorate an ordinary flower pot and using burlap is one of them. Start with cutting strips of fabric and pull the edges of the fabric in order to fray. Next, wrap the burlap around the pot and secure it with string. Wrap and tie the strips of fabric around the pot as well and that’s it! To make it even prettier, you can tie the fabric with clay tag and add shells inside the pot. 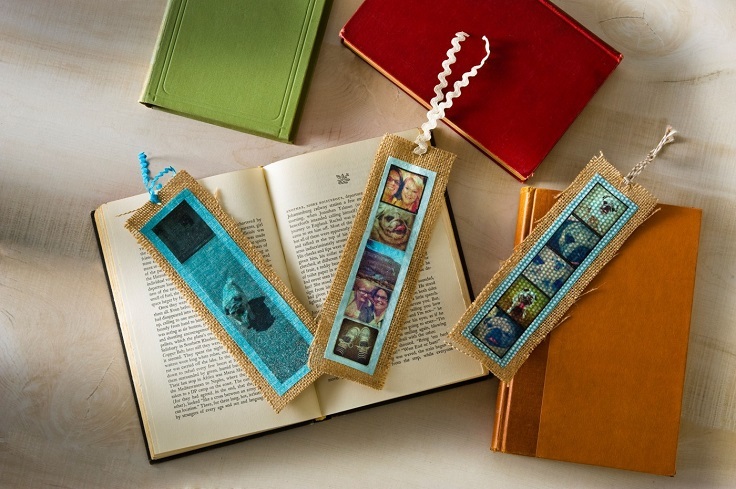 Every book lover knows how important is to have a bookmark and even better – a pretty bookmark. That’s something that you can make as well and it’s really simple! Here are the materials that you need: printer and ink, HP iron-on transfers, Mod Podge Matte (or similar), fabric, burlap, photos of your choice, iron and ironing board, paintbrush, scissors, ribbon or ric rac and awl or something to poke a hole with. 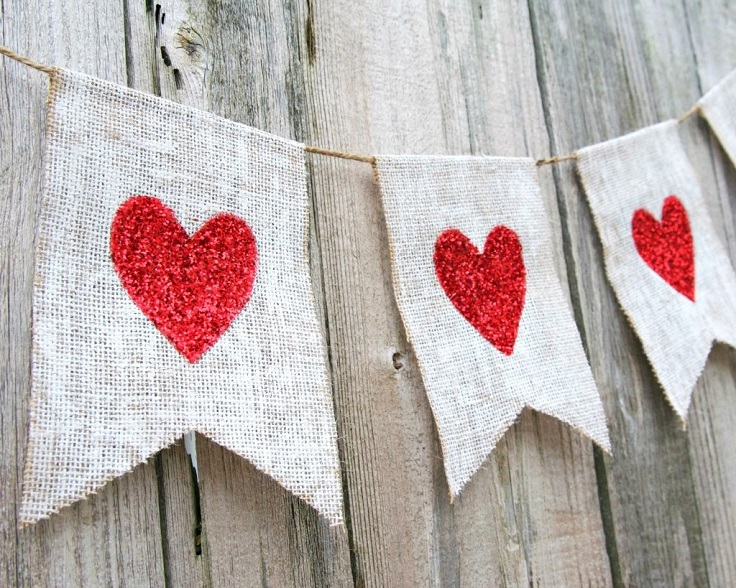 Valentine’s day is coming soon, so you might want to check this idea – it’s a simple, but very pretty burlap banner with red, glittery hearts on it. Whether you hang it in your backyard or inside your home, it will look really nice! Besides the burlap, you will also need pennant template that you can download for free from the website below the picture, scissors, white paint, red paint, paint brush, red glitter, jute, heart template and glue gun. This project is perfect if you want to add a rustic feeling to a room, but mind that sewing skills and a sewing machine might be needed. It won’t cost a lot and is definitely worth the try! 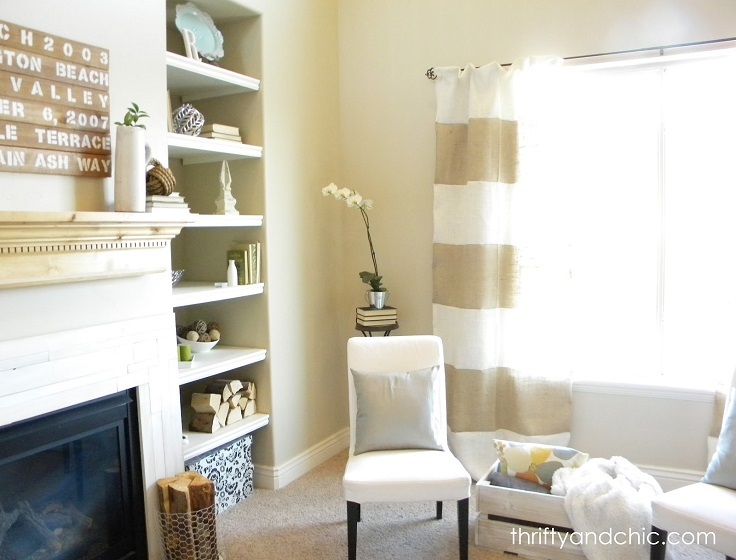 If your room is decorated mostly in white and other light tones, the burlap will fit perfectly. 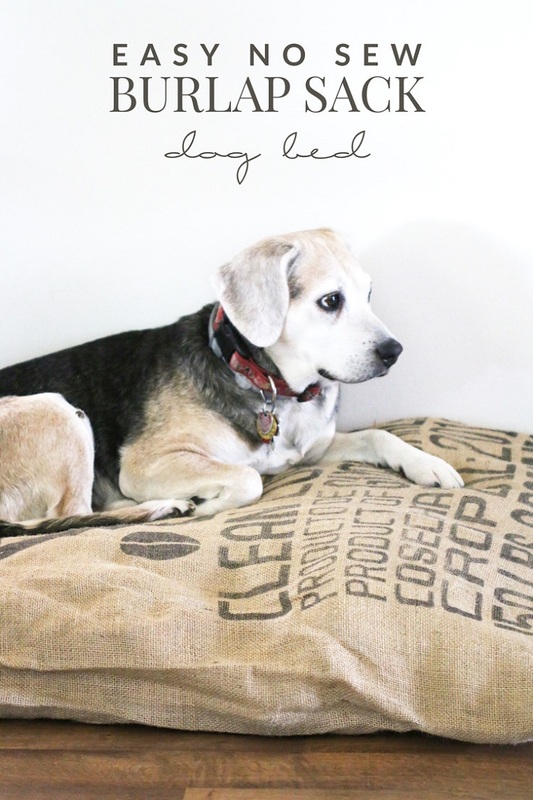 Every thing can count as detail, so even stuff like a dog bed sack can contribute into making the room prettier. This bed sack is going to be perfect for you if you’re looking for more casual or rustic look. You just need four materials – burlap sack, Velcro (or similar), old blankets, pillows or t-shirts and fabric glue, but this is optional.